In December 1931, The Museum of Modern Art mounted a major exhibition of work by the Mexican artist Diego Rivera. It was only the second retrospective at the Museum, and it was wildly popular, breaking attendance records in its five-week run. Rivera was already an international celebrity. He was the most visible figure in Mexican muralism, a large-scale public-art initiative that emerged in the 1920s in the wake of the Mexican Revolution. But his murals – by definition fixed on a single site – were impossible to transport for exhibition. To solve this problem, the Museum brought Rivera to New York six weeks before the show opened and provided him with a makeshift studio in an empty gallery. There, Rivera produced five “portable murals”—freestanding frescoes commemorating events in Mexican history—which were prominently featured in the show. 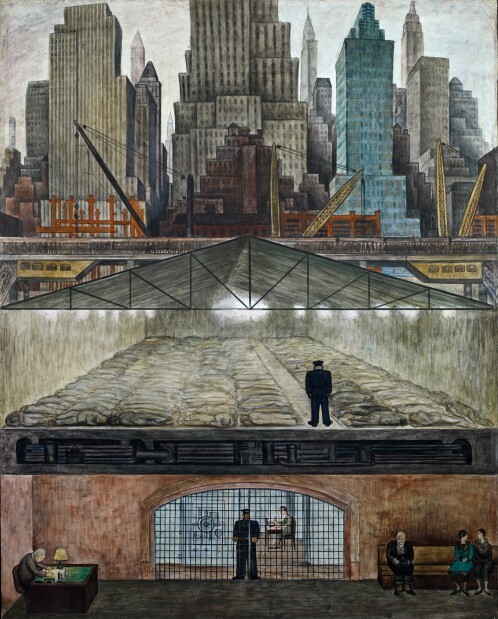 After the opening, to great publicity, Rivera made three more murals, taking on contemporary New York subjects through monumental images of the city during the Great Depression. The story of this extraordinary commission elucidates Rivera’s pivotal role in shaping debates about the social and political value of public art during a period of economic crisis. 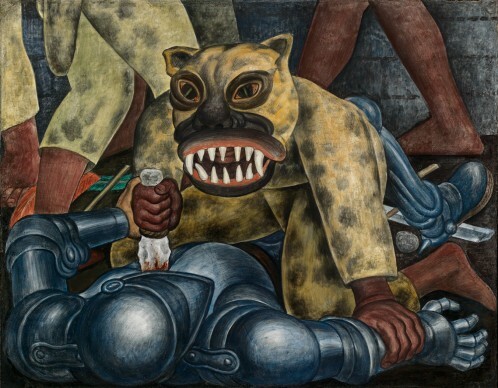 Diego Rivera: Murals for The Museum of Modern Art brings together key works made for Rivera’s 1931 exhibition, presenting them at MoMA for the first time in nearly 80 years.